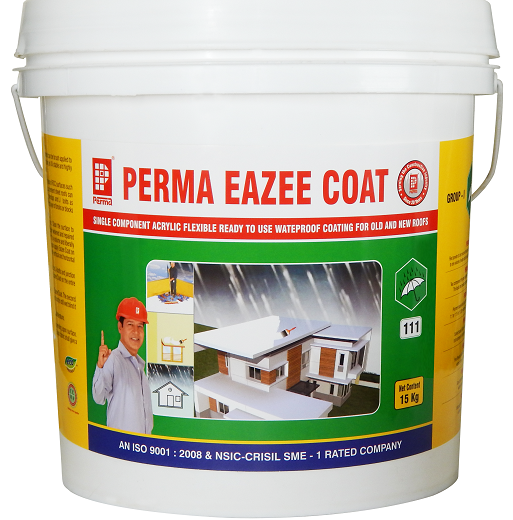 Perma Eazee Coat is a milky white liquid which can be brush applied to most structural surfaces to make them waterproof. The coating is UV stable and highly flexible. Seamless application no joints are required. Packing : Perma Eazee Coat is supplied in 500 gm, 1.5 kg, 10kg, 15kg & 50 kg packs.